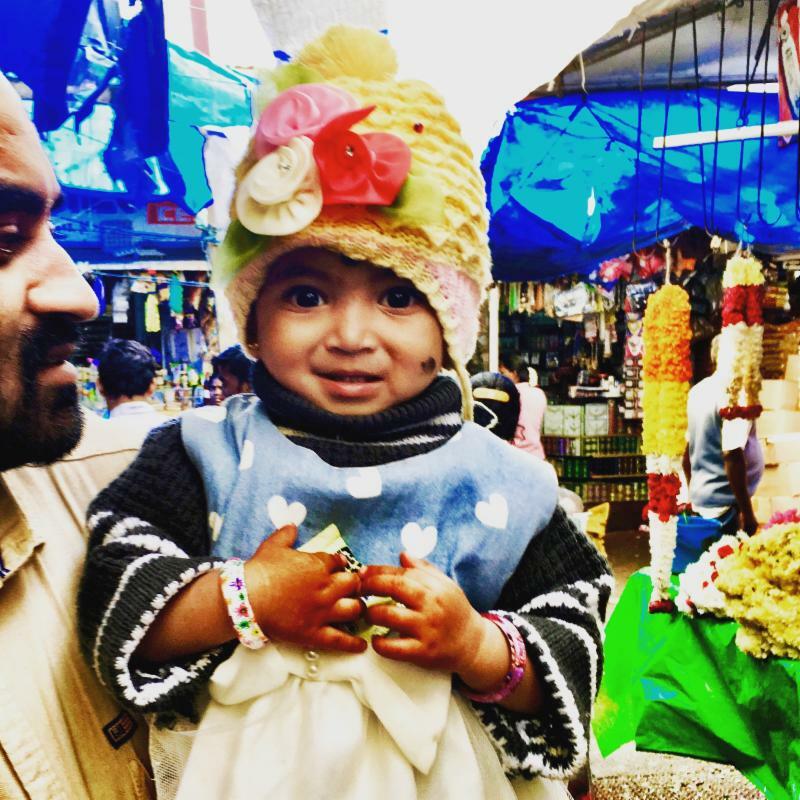 Come with us to South India in 2020! Join Brenda, Matthew Andrews and Corinne Andrews of Amherst Yoga Center! 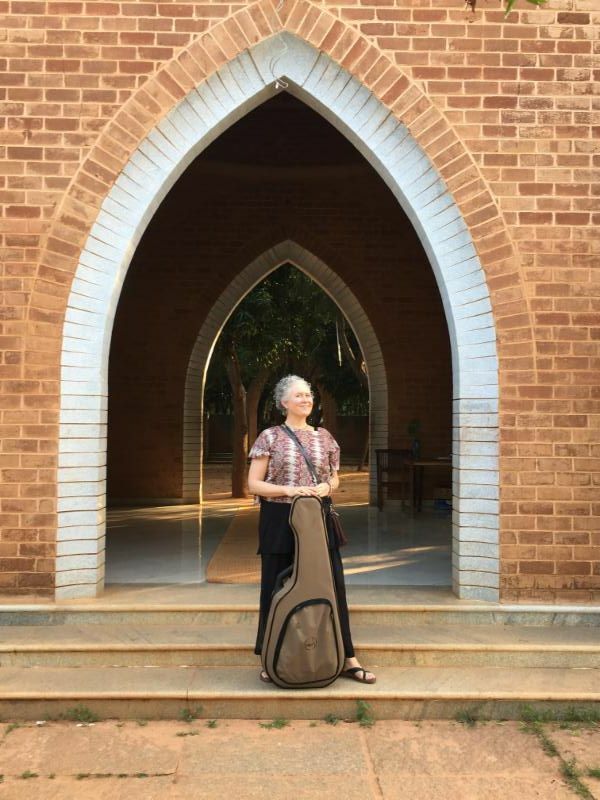 In addition to singing kirtan, visiting ancient temples, sacred sites, and exploring Tamil culture, we will learn about the roots of yoga and Auroville as a yogic city, chant together, practice Embodyoga, and explore pranayama, meditation, and prayer. 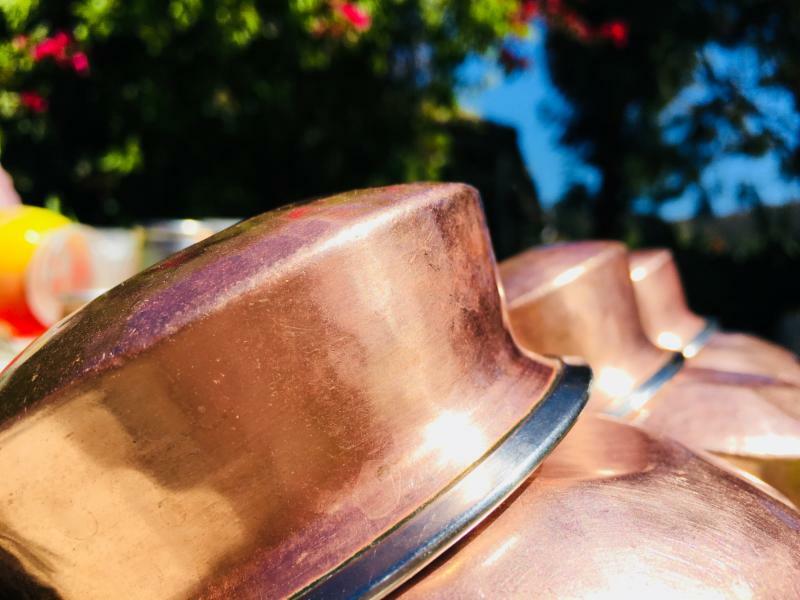 This trip offers you an immersion into the spiritual and cultural life of South India and Auroville, as well as a journey into your own depth. 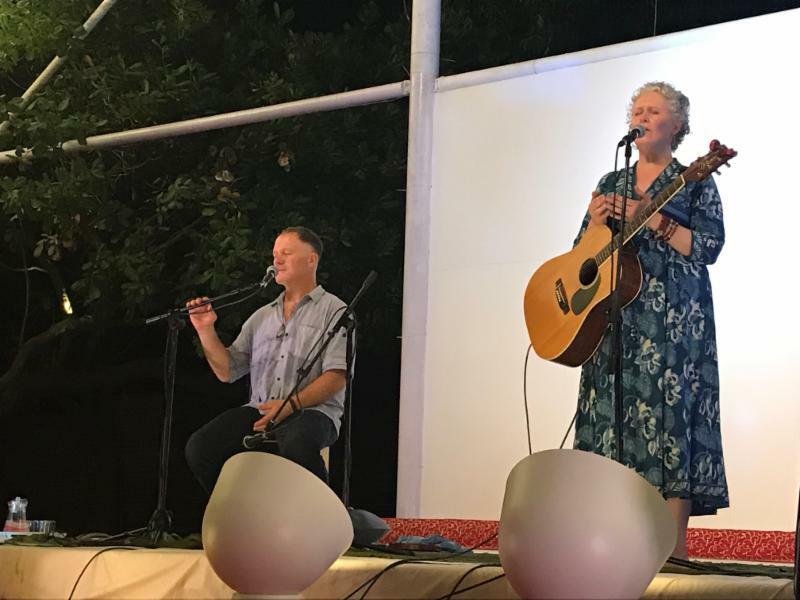 Matthew has been visiting Auroville and South India since 2000, and serves on the board of directors for Auroville International-USA. 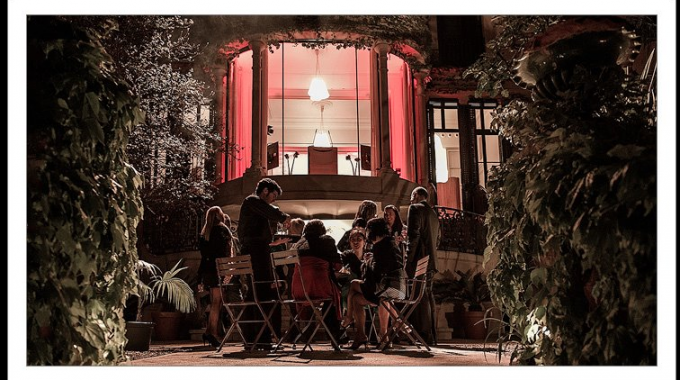 His depth of experience and relationships in the area provide an unparalleled opportunity to experience the depth and beauty of this unique region. 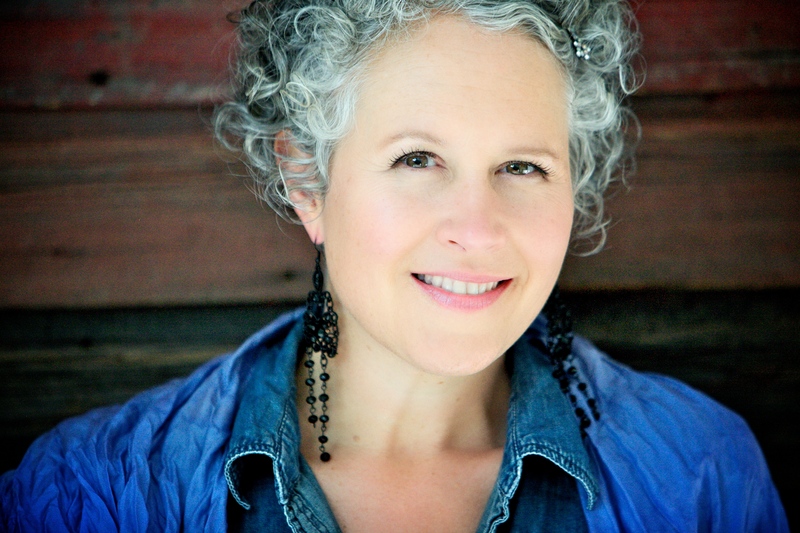 And Corinne is the lead teacher for the Embodyoga 200 hour teacher training at Yoga Center Amherst, and founder of Birthing Mama Prenatal Yoga and Wellness. 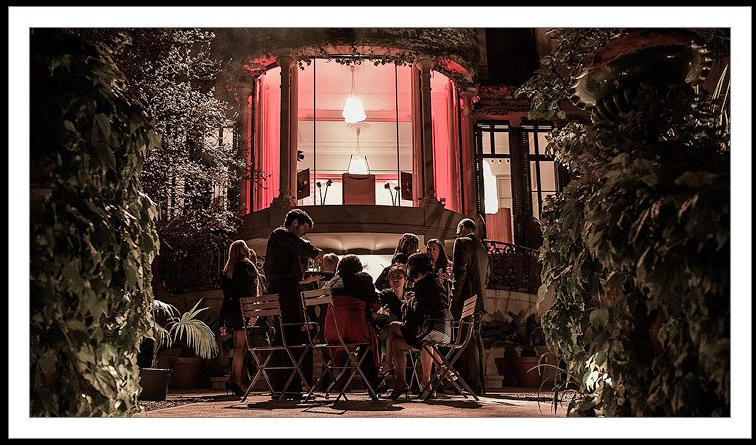 Are you wondering if this is the right trip for you? Check out our Frequently Asked Questions page! Auroville is many things, but at its heart it seeks to manifest humanity’s highest spiritual aspirations toward truth, beauty, and goodwill. This retreat will bring you in touch with the real-life field where those aspirations are being worked out. 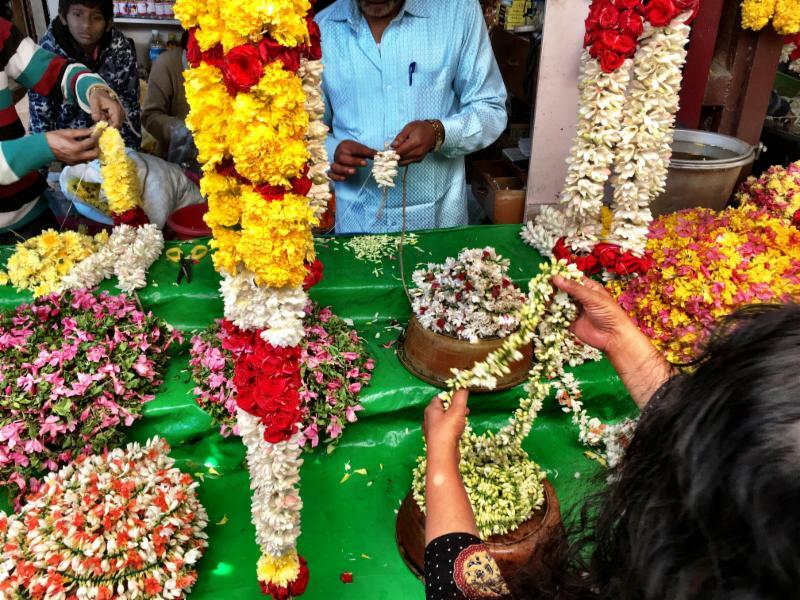 While most of the trip will be spent in Auroville and the surrounding villages, we will spend 4 days in Tiruvanamalai, a vibrant South Indian city nestled in the lap of the sacred Mount Arunachala. Sri Ramana Maharshi lived most of his life on this mountain, which has been revered for millennia as an embodiment of Lord Siva. 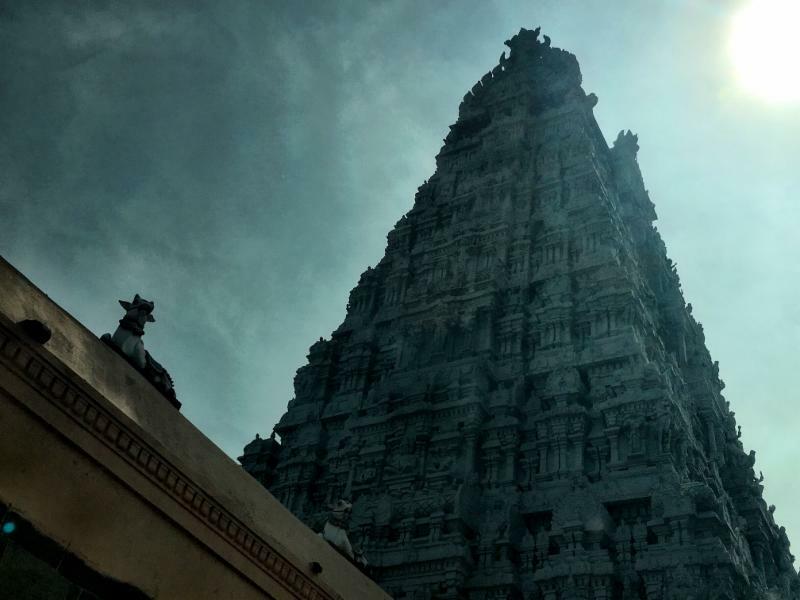 The 8 mile circumambulation of Arunachala is a profound yogic practice, and meditation in the caves where Ramana Maharshi lived is a transformative experience. 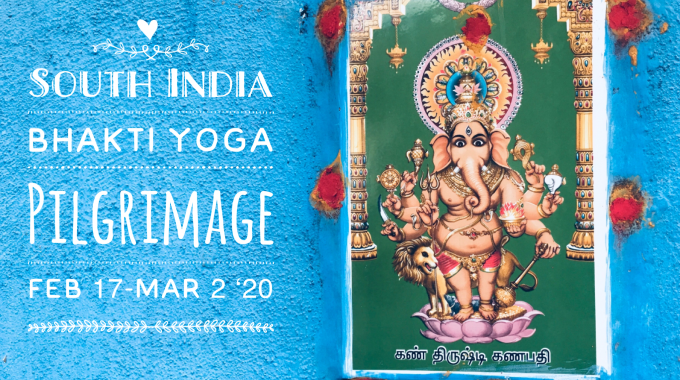 Please send us an email to matthew@yogacenteramherst.com with any questions or to find out more details. What a blessing to be in India again! 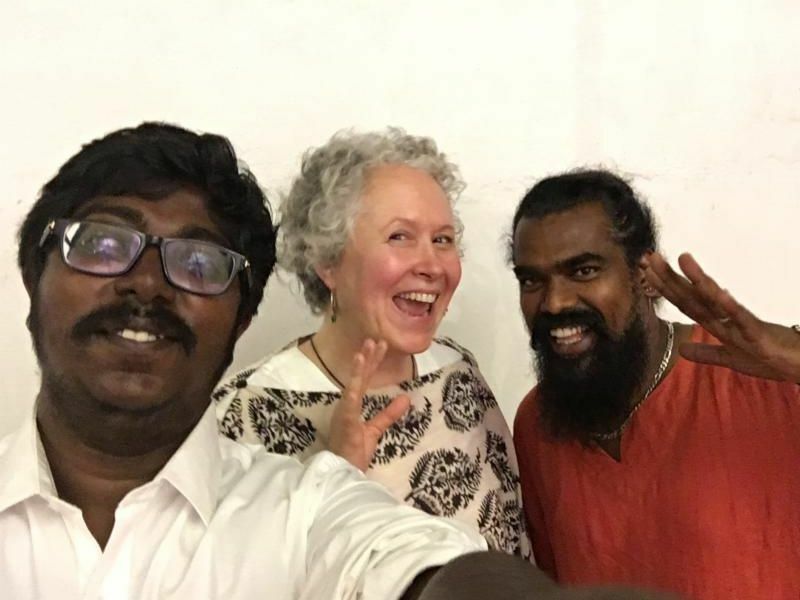 February will see a return to Chennai, Auroville, Mahabalipuram, Pondicherry and Tiruvanamalai, all fascinating places in Tamil Nadu, South India with my retreat group that is coming from Canada and the US. More photos soon! 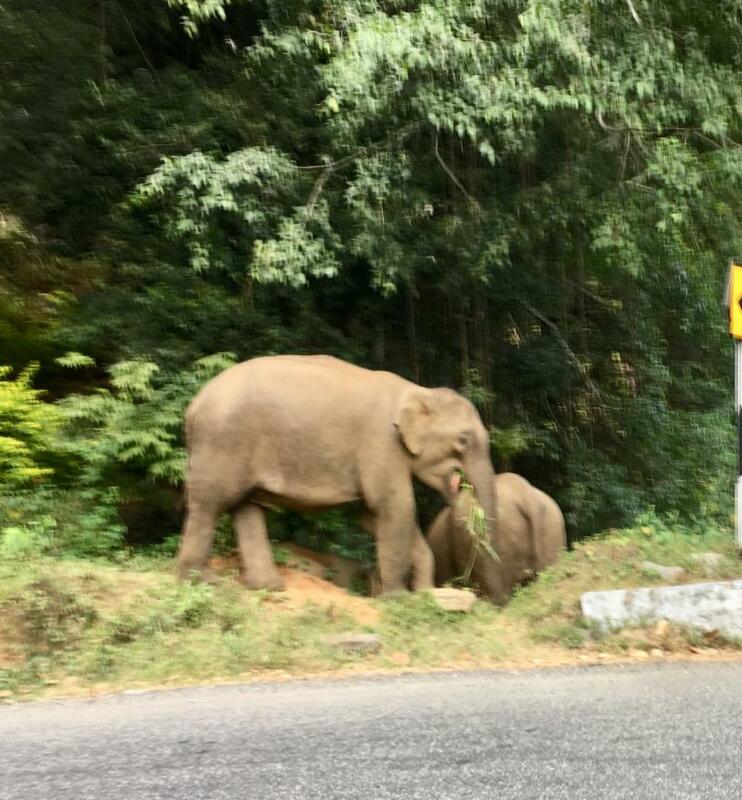 us with a rare appearance by the road in the Nilgiris! 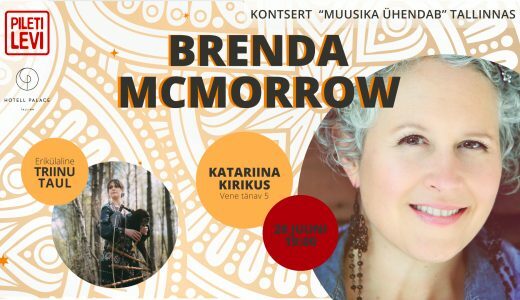 I fly off to Europe on Sunday and have the blessing of being invited to sing in Spain (Cataluña), Estonia and Sweden! All the details are below. Please share the word if you feel inclined! ¡Estoy emocionado de venir a tocar a un concierto en la hermosa Torre Amat en Barcelona! 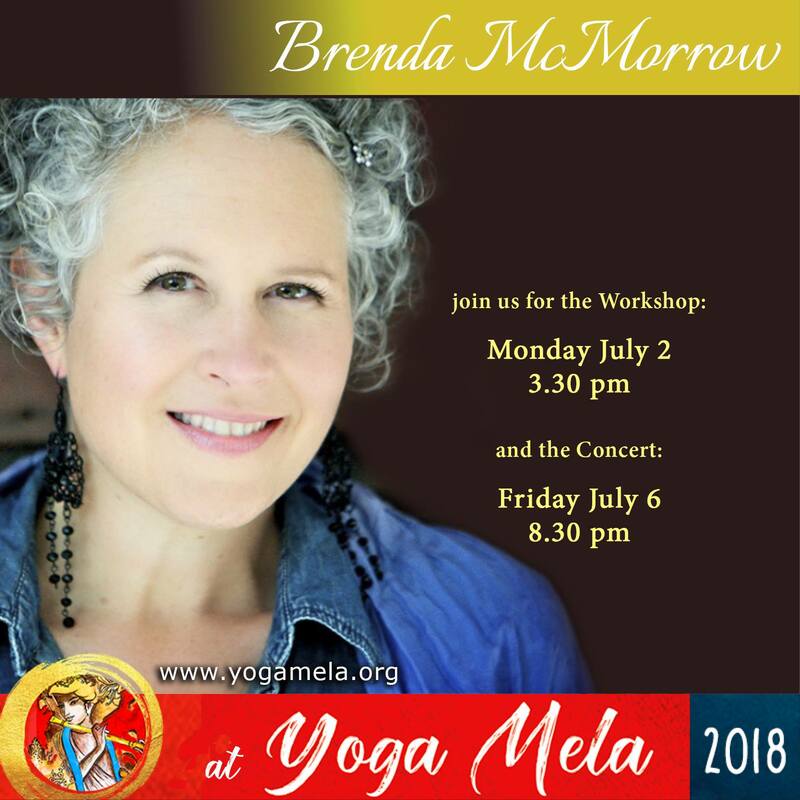 Yoga Mela Festival 2018 What an absolute joy to return to this epically beautiful gathering – with Denis Kucherov on percussion! There are certain teachers with immense clarity and an uncanny ability to point towards -through words and energy- Ultimate Truth. Nisargadatta Maharaj (Mumbai, India 1897-1981) is one of these. Through his razor sharp insight, he guides us to step towards (or more accurately, back into) knowing that we are NOT what we actually take ourselves to be, opening up the possibility for actual Being, actual Love and actual Life to be embodied as consciousness itself, without the confines of the idea of the personal “I”. (And then to go even beyond and prior to that…into what no words could never begin to describe). As Jesus of Nazareth said: “Be in the world, but not of the world”. It seems Nisargadatta was pointing there too. Making this video has been a deep meditation for me and I share it in case it can be of benefit to you. Who knows, perhaps it will touch a chord of deep familiarity within you that is already being lived or that is ready to be awakened. Perhaps it’ll just be really groovy to hang out in the amazing vibration of Nisargadatta’s words, and the sounds of some really awesome (very old) Tibetan singing bowls that I have the honour of being the custodian of. Before all beginnings, after all endings – I am. What you are, you already are. Everything is local and temporary, except you. Don’t forget what you are. Ultimately I am beyond being and non-being. Find that which was present at your birth and will witness your death. You were never born nor will you ever die. There is a state beyond forgetting and remembering. Find what is it that you have never lost. Overlook the movable and you will find yourself to be the ever-present. I am neither born nor can I die. I have nothing to remember or to forget. You are beyond the experiencer, ever unborn and deathless. Reality is not an event, it cannot be experienced, for reality neither comes nor goes. There is no such thing as experience of reality. There was no coming. It was so – always. You can only be what you are in reality; you can only appear to be what you are not. What changes is not real, what is real does not change. Don’t pretend to be what you are not, don’t refuse to be what you are. You are neither the body nor in the body – there is no such thing as body. The Absolute precedes time. The Absolute – is. Your body is short of time, not you. Just understand yourself – that itself is eternity. I know for myself. I was never born. Both the subject and the object exist in you, but you are neither. You are complete here and now, you need absolutely nothing. That which makes you think you are human is not human. The real is always with you; you need not wait to be what you are. You are not what you perceive. You are yourself without knowing. Transiency is the best proof of unreality. You cannot know your real being. You can only be what you are. To Know that You do not Know, is True Knowledge. In reality you were never born and shall never die. One can only be it, without knowing. Prior to this identification with the body, you must recede into that. Before the beingness was there, look at that, be in that state. As the eternal principle you prevail in spite of all happenings. Not-knowing is perfection, knowing is imperfection, fraudulent. When the ‘I am’ goes into oblivion, that is the eternal state, no form, no beingness. It is quite simple: all that which is time-bound is untrue. What was your state before the ‘I am’ arose? Go back to the source. In the Absolute there is no need of any kind, even the need to know oneself. Sat Guru (Parabrahman) is your true nature. In the Absolute the ‘I am’ comes, they are not two. You just stumble on the knowledge that the individual was never there. You are prior to the idea ‘I am’, camp yourself there, prior to the words ‘I am’. With reference to your true Parabrahman state Maya does not exist. You know what you are not – what you are you cannot know. Death is inevitable so why not accept it right now that it cannot affect you? You are changeless and permanent. You have no beginning and no end, you are eternal. Parabrahman is your eternal state; you cannot remember it because you have never forgotten it. I as the Absolute do not need this consciousness. Where is the question when the instrument of questioning is kept aside? On your no-knowing state suddenly the knowingness has appeared and created all the mischief. I am before anything can happen. Knowledge is ignorance, it has a beginning and an end, had it been real it would be eternal. Sat Guru means the eternal state, which will never change, what you are. To know you are nothing is real liberation. When all your knowledge including yourself is liquidated – then you are liberated. The unknown is the truth. You are prior to consciousness. In that state there is no pleasure or pain. The ultimate knowledge does not have any knowledge. If you have really understood, no questions can arise; questions arise only to an entity. As an entity you want to know the Absolute, it’s not possible, because you are the Absolute. You true state was there before the body and consciousness arose, is there now and will be after the body and consciousness go. Even when the consciousness goes you prevail – you always are – as the Absolute. It is the consciousness that gets liberated – there is no entity. No-knowing is highest in the hierarchy of spirituality; the Absolute transcends both knowing and no-knowing. Everything is beingness, but I, the Absolute, am not that. The body-form is merely an opportunity to experience time. I am the principle which survives all the creations, all the dissolutions. Attain that state which is and was prior to the body. When beingness forgets itself, that state is Parabrahman. How did I come about? That is the question which needs investigation. It is only the consciousness that is going to disappear, the Absolute is always there. The uniform (‘I amness’ known through the body) is available to you, by all means use it but understand that you are not the uniform. Once you discard this ‘I amness’ uniform, what remains is the Parabrahman. Feeling that I am present depends on having a body; I am neither the body nor the conscious presence. You should not get involved in what has appeared. There is only one thing to be understood, and that is that you are the formless, timeless unborn. Nobody is dying, because nobody was born. I was possessed by the five-elemental ghost, but having stabilized in the Parabrahman, I know what it is and I am out of it. Prior to your birth and receiving the message ‘I am’ how did you function, what were you? When the body and mind drop off, nothing happens, only I, the Absolute, prevail always. Be what you were prior to the label or title, be that. Give up all that you have read and just be. Even the experience that you are is not your true nature. Whatever you are prior to the appearance of ‘I am’, that is your true nature. It is sufficient to understand, without the slightest doubt, with great conviction, that there is a state prior to the arising of consciousness. Waking, sleeping and the sense of presence are all temporary states that have come upon me, I am not the states. Whatever is temporary and time-bound cannot be the truth. All this play is going on in the flash of your consciousness and it will come to an end. When you finally know that there is no individual there will be no questions to ask. What is, is the Absolute unmanifested. What appears, as if in a dream, is the manifested. If you do not take delivery as an individual but as total functioning, then you are free of whatever is happening. The Ultimate is prior to any experience. ‘I amness’ is the beginning of experience. You are the Absolute, you swallow the entire universe. When nothing is, you still are. I am the total functioning every moment, millions of years ago or now. The Ultimate principle which knows this beingness cannot be named at all. When one subsides in one’s true identity, nothing matters, because nothing is. You are not that ‘I am’. You are, as the Absolute, prior to this ‘I am’. Without the feeling of ‘I am’, still you are. When your individuality is dissolved you will not see individuals anywhere, it is just a functioning in consciousness. A sound is emanating out of the body, just words, it is not somebody talking, just happening, not doing. Consciousness has not happened at all. When it tries to understand itself it gets stabilized in due course in the Absolute. Stabilize in the knowledge “I Am” and in the process, transcend it. 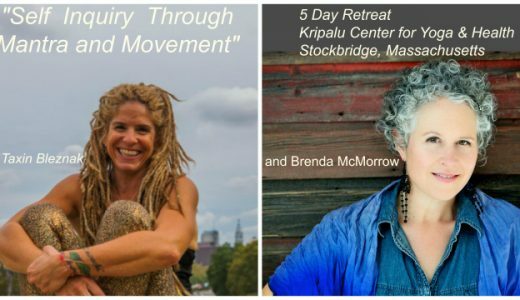 I would love to personally invite you to join me and my dear friend and truly inspiring teacher and writer, Erica Taxin Bleznak, as we go on a 5 day journey of discovery during our Self Inquiry Through Mantra and Movement Retreat at Kripalu Center for Yoga and Health in Western Massachusetts, April 23-28. If something tells you that there is much more to your Being than your thoughts, identities, feelings, beliefs etc., you will be in good company here. These 5 days will be spent exploring those corners of ourselves that are ready to be brought into the light so that our true nature can shine. We will do this through exquisitely guided yoga asana that is tailored to your level of experience; the joy and depth of mantra singing and recitation; supported self-inquiry exercises done in groups and dyads; meditation practices that encourage us to rest back in the conscious awareness that holds us always; fun and connection with like-hearted fellow participants and facilitators. 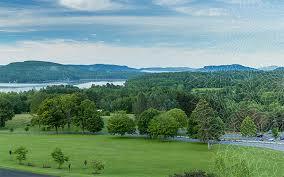 This is all set at the gorgeous Kripalu Retreat Center where incredible views, lovely accommodations, delicious organic food, workshops, body work and therapies and more help to nurture you on this journey. Have you spent enough of your life trying to “fit in”, to do the “right thing”? Have you come to a point where you are ready to “return home” to who you really are? Sometimes coming together with others who are on the same path is exactly what we need to gather the courage and inspiration to keep expanding and deepening. Join us. We would love to have you. 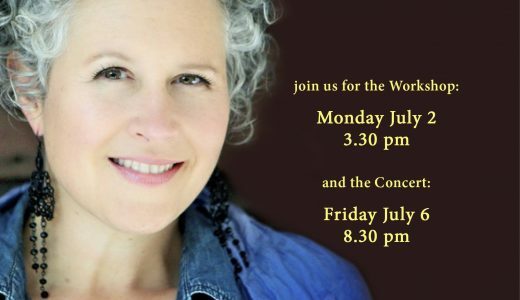 We hope you can join us for this deeply transformative and heart opening experience! Self-awareness and connection with others, to support your ongoing practice of internal reflection and self-discovery. 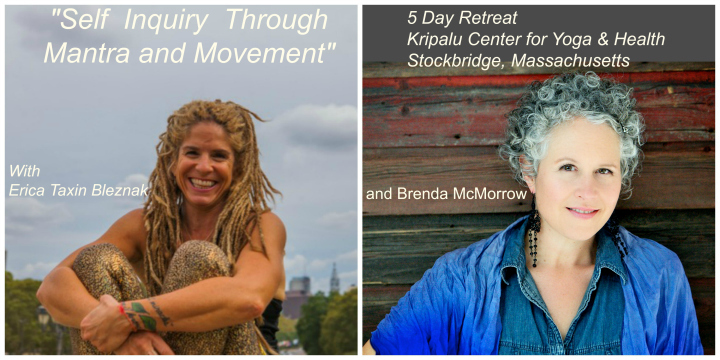 Erica Taxin Bleznak and Brenda McMorrow utilize journaling as well as dyads and experiential exercises in this potent self-inquiry retreat. Brenda is very pleased to offer individual sessions. Receive support and guidance around what is relevant in your life right now, eg. 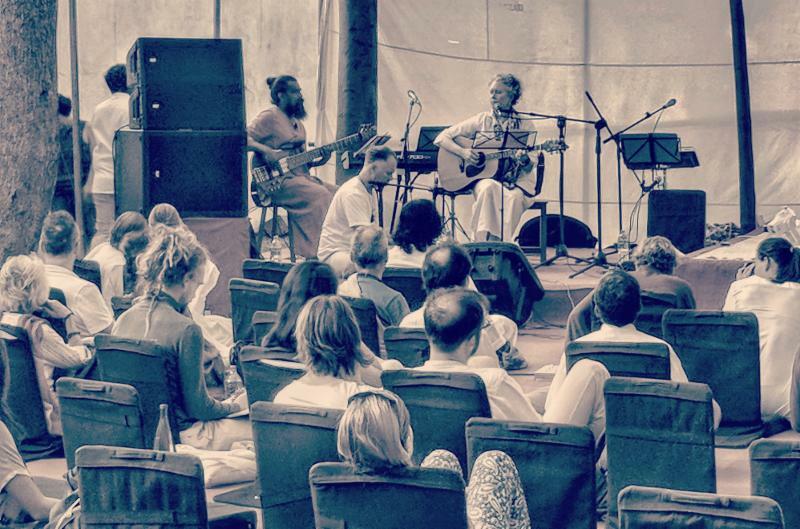 kirtan leading, your own personal mantra practice, creative expression, songwriting and guidance for your own spiritual journey. 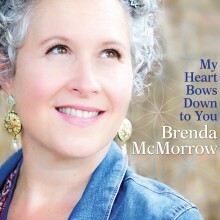 Please send an email to info@brendamcmorrow.com to arrange your meeting with Brenda! 30 Days of Mantra Moments! 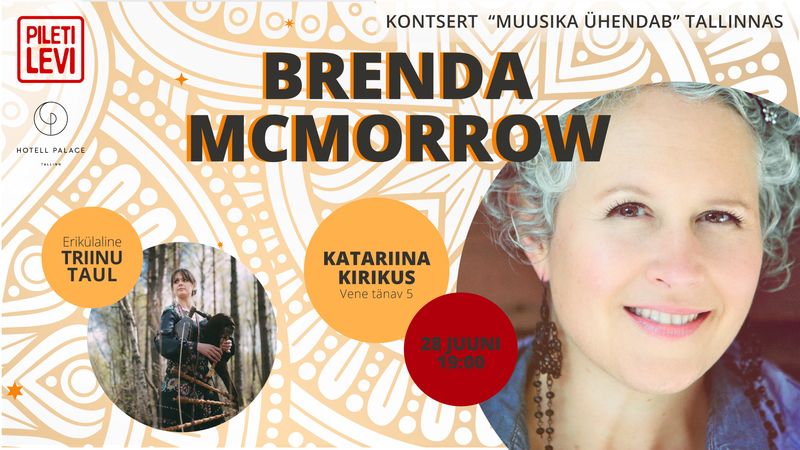 In the month leading up to one of my favourite events of the year -Bhakti Heart Fire – Kirtan Academy – I posted a video of one of the mantras, chants, devotional songs contained in our Heart Fire Manual! Oh Mind, chant devotion to the Mother. Divine Mother full of bliss. Divine Mother, whose form is bliss. * Om – The sound of the universe; The essence of everything; The root of Hinduism itself; Usually begins and ends all Hindu prayers. * Dum – The seed mantra (sound) of Mata Ji Durga. * Durgayei – The complete, formal Sanskrit pronunciation of Maa Durga’s name. 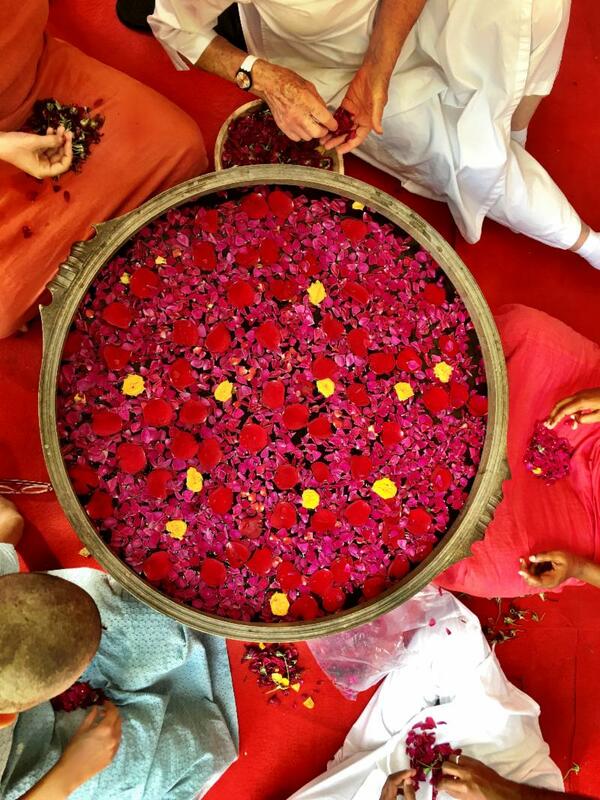 * Namaha – In Your essence, we bow to You; In Your presence, only You are recognized. The Goddess is said to have the combined powers of Lakshmi, Saraswati and Kali. This mantra is often used for protection against internal or external negative forces. Also, chanting Durga mantra removes the effect of all types of black magic, unfavorable effect of negative planets, bad luck or health problems. 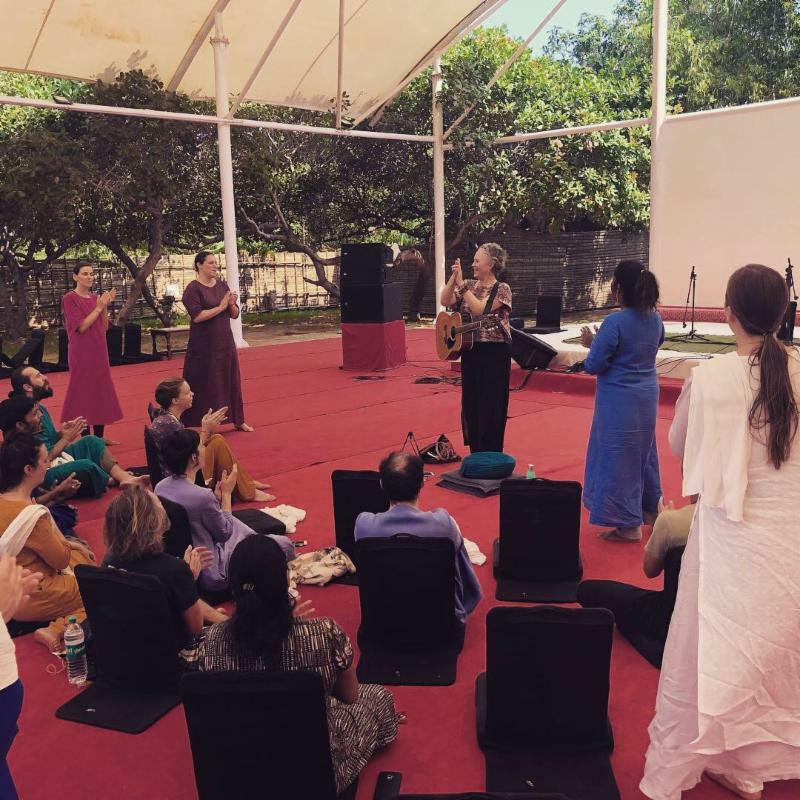 A chant to Kali and Duga, both representations of the Divine Mother. “Of all the mantras, the supreme and the most potent power of powers is the great, glorious Gayatri Mantra. It is the support of every seeker after Truth who believes in its efficacy, power and glory, be he of any caste, creed, clime or sect. It is only one’s faith and purity of heart that really count. Indeed, Gayatri is an impregnable spiritual armor, a veritable fortress, that guards and protects its votary, that transforms him into the divine, and blesses him with the brilliant light of the highest spiritual illumination. … It is universally applicable, for it is nothing but an earnest prayer for Light, addressed to the Supreme Almighty Spirit. “The Maha Mrityunjaya mantra restores health and happiness and brings calmness in the face of death. When courage or determination are blocked, it rises up to overcome obstacles. It awakens a healing force that reaches deep into the body and mind. An invocation to Tara, the female counterpart of Avalokiteshvara, the Bodhisattva of compassion. The Tara is pictured many – armed, symbolizing the powers and attributes she has cultivated to save all sentient beings. I bow to Hanuman for protection from dark forces & for healing energy. Hanuman is the symbol of devotion & selfless action. “Salutations to the remover of obstacles. This sound formula assists us in the removal of obstacles. In order for that to happen there is no need to know the exact nature of the hindrances. Just the awareness and recognition that there are obstacles and then chanting this mantra with the intention for resolve is enough. This mantra unifies us within. “Our creation is that guru (Brahma-the force of creation); the duration of our lives is that guru (Vishnu-the force of preservation); our trials, tribulations, illnesses, calamities and the death of the body is that guru (devo Maheshwara-the force of destruction or transformation). There is a guru nearby (Guru Sakshat) and a guru that is beyond the beyond (param Brahma). I make my offering (tasmai) to the beautiful (shri) remover of my darkness, my ignorance; (Guru) it is to you I bow and lay down my life (namah).” Thank you Jivamukti Yoga for this explanation. “Salutations to the Indweller who is omnipresent, omnipotent, immortal and divine. This mantra is called the Great Liberation Twelve-Syllable Mantra. It frees our minds and spirits from negative patterns in this life. OM, may we all be protected. May we all be nourished. May we work together with great energy. May our studies be enlightening. Let us not give rise to enmity. OM, peace (within), peace (with each other), peace (universal). A chant to Ganesh, the remover of obstacles! "One With the Light/Om Shanti"